The Long Beach courthouse handles domestic violence matters arising in downtown Long Beach, San Pedro, sections of Wilmington, north Long Beach, Signal Hill and Belmont Shore. Most misdemeanor domestic violence cases begin (and usually end) in Department 8. Most felony domestic violence’s begin with arraignment in Department J with Judge Otto and then move to Department 2 with Judge Meyer and then are assigned to a variety of courtrooms. Consequently, in presenting the case summaries below, we ask that the reader appreciate that past results can mislead someone into expecting an identical or even better result in the future. 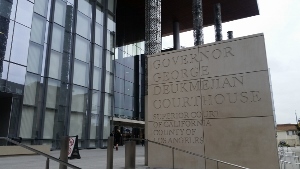 For a sample of some of our better results from the Long Beach courthouse, click on the following case summaries for a detailed description of each case.